Makers and needlework specialists looking for a way to add extra creativity through their embroidery, may be interested in a new programmable embroidery platform named TurtleStitch. Designed by Andrea Mayr-Stalder to provide an easy to use graphical programming language, to create patterns for embroidery machines, the system runs from your web browser. Watch the demonstration video below to learn more about the robotic embroidery system. 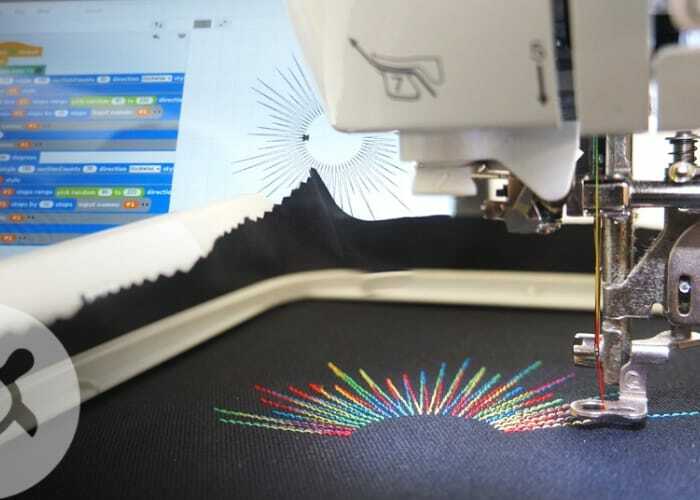 The already established embroidery programming platform has taken to Kickstarter this week to raise funds to create its new Whizzy Needle after collecting feedback from its base of international users from different professional backgrounds. For full specifications are more details jump over to the official Kickstarter campaign page by following the link below. As well as creating the new needle the system would like to extend its tutorial resources, make it easier for educators and designers to join our community and also extend connections to computer science -related curriculums.